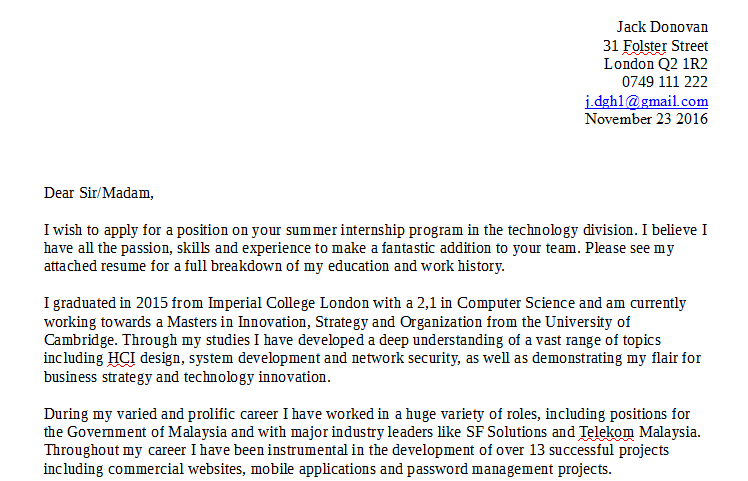 I wish to apply for a position on your summer internship program in the technology division. 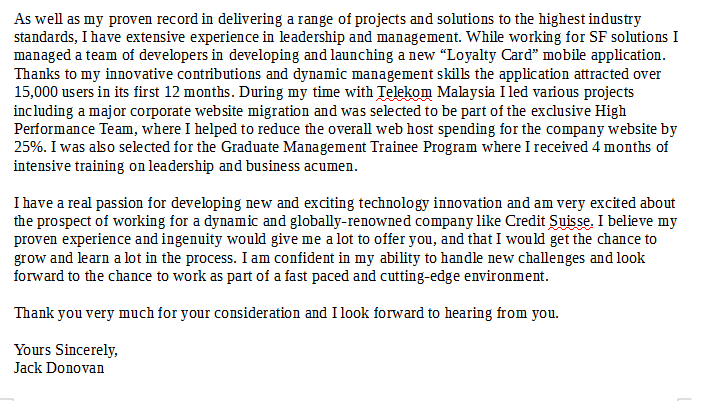 I believe I have all the passion, skills and experience to make a fantastic addition to your team. Please see my attached resume for a full breakdown of my education and work history. Award-winning writer with decade of experience in ©Writing ©Proofreading ©Editing ©Paraphrasing ©Rewriting ©Copy-Writing ©Research Documents ©Whitepapers ©Resumes ©Cover Letters ©Social Media Posts ©Creative Writing ©e-Books ©Press Release ©Sales Letter ©Novel Writing ©Business Writing ©Academic Writing ©Medical Writing ©Technical Writing ©Web-Content and all of the writing areas are currently available to make your project successful. During the last decade of my life I have focused on writing at that time, I have done an extensive variety of projects that have helped my clients on multiple levels. Providing quality results while handling business in an honest, straightforward approach. It is no wonder that my clients call on me time and time again. My work has won multiple awards, so let me show you how I can help you succeed with your content goals and make me Your Complete Writing Partner.